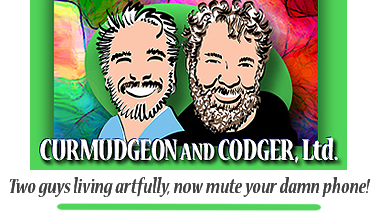 Grey is a Codger – Curmudgeon and Codger, Ltd.
Grey Forge LeFey is the codger and the technical giant behind the artistic duo, The Artists LeFey. Ok, “giant” might be too strong of a word here, but he handles the coding, the web, the gizmos. And he makes art. Grey is a cartoonist, illustrator, digital artist, and painter. After an education at the Art Institute of Pittsburgh, Kent State University, and a couple decades as a graphic designer and a print technology specialist, he retired from the corporate world to work in the studio, getting his hands dirty with inks and paint again. The result is often an amalgamation of traditional media finished with digital augmentation. He particularly loves to illustrate personifications of myths and concepts, which can be seen and purchased at the online gallery TheArtistsLeFey.com. Grey is also a dramatist and writer, with decades of experience producing and directing plays. 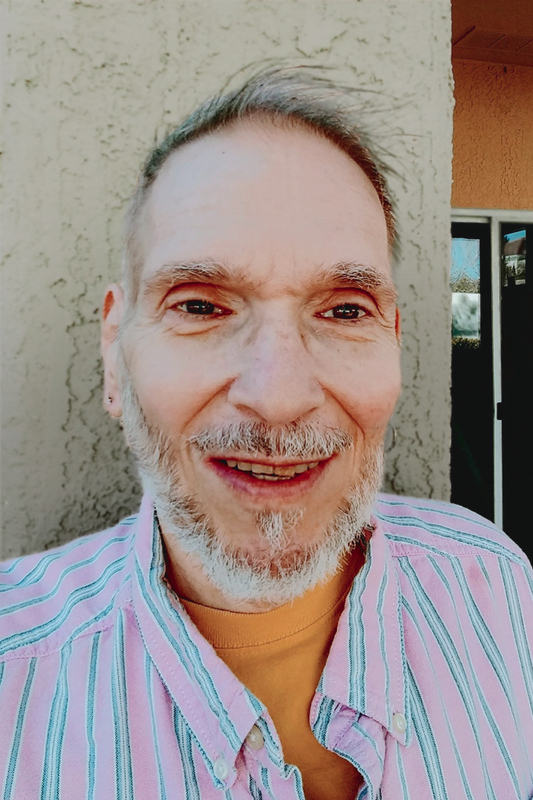 The theatre is his greatest canvas, where he enjoys being a storyteller, visual artist, and collaborator with gifted performers and craftspeople. A previous career as a stylist and makeup artist have served him well in creating dramatic effects in makeup and wig artistry on stage. Grey is a wedding officiant, licensed to perform weddings in the state of Ohio. Grey was formerly known as Doug Tennant, until he changed his name when he married his husband Khrysso in 2017. He has two grown daughters, Pete the dog, and ambitions for a miniature farm including pygmy goats, Chincoteague ponies, babydoll sheep, and mini donkeys.